I went two Thanksgivings without eating stuffing because I didn’t like the weird texture of all the gluten free stuffing I tried. 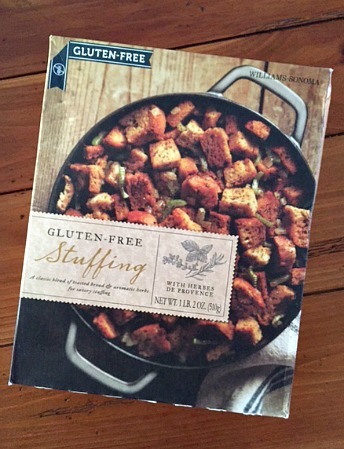 I then came across Williams-Sonoma gluten free stuffing and it was a game changer! Listen up, I’m picky when it comes to stuffing and this is really good… like so good that no one else knew it was gluten free! 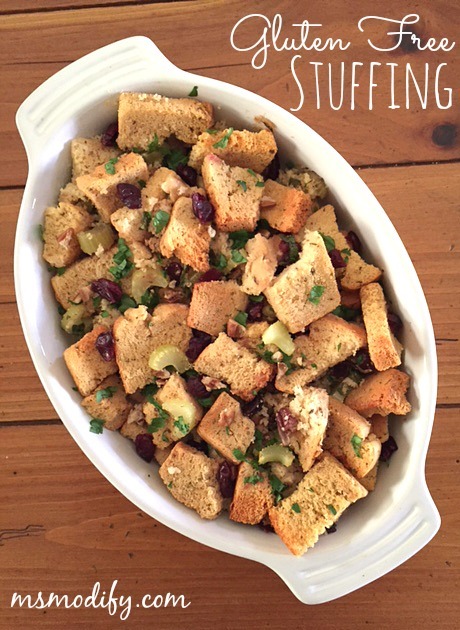 Don’t bother making separate gluten free stuffing for yourself or the gluten free person in your life, all your guests will love this too! Put all ingredients into pan, mix well. Remove foil and continue baking until the top is golden brown and crisp, about 25 more minutes. Add more broth if needed. 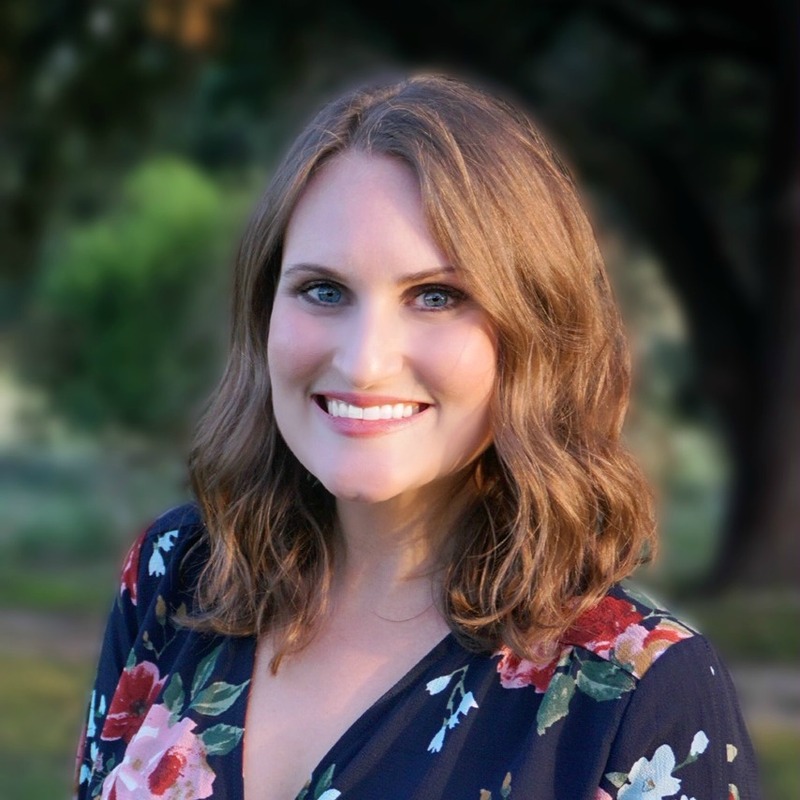 This entry was posted in Recipes/Dining Out and tagged holiday recipes, stuffing, Thanksgiving, Williams-Sonoma. ← Friday Favorites: Amazon Black Friday Deals! Have tried 4 times with this recipe. Croutons turn to dust. What am I doing wrong? Really? Oh no! I make it every year. Are you adding enough broth?